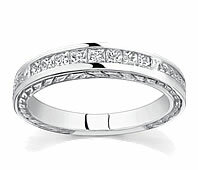 Ladies' diamond bands offer the best of both worlds. 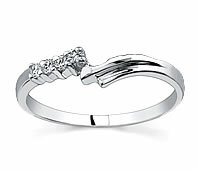 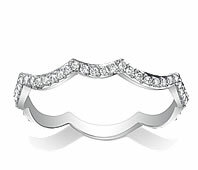 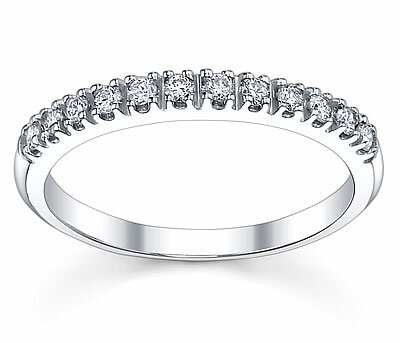 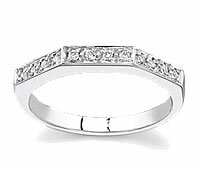 You get the simplicity of a plain band with the elegance of a diamond ring. 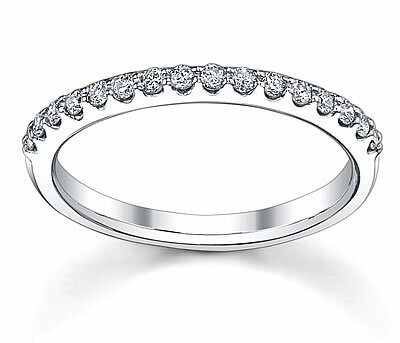 Our ladies' diamond bands are carefully created using white gold, yellow gold or platinum. 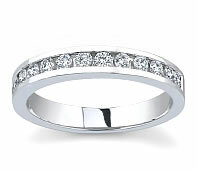 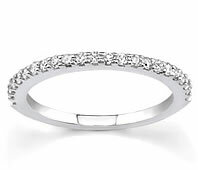 Ladies' diamond bands are the perfect choice for brides with quiet style but who also like diamonds. 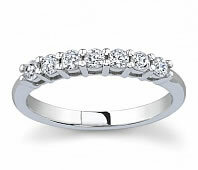 Traditionally, the wedding ring and the engagement ring were two separate pieces of jewelry. 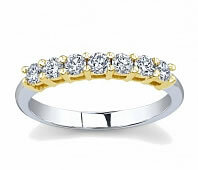 Nowadays, some couples are choosing a diamond band as an engagement ring as well as a wedding ring. 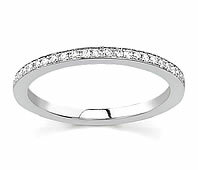 Our ladies' diamond bands come in a variety of designs and prices. 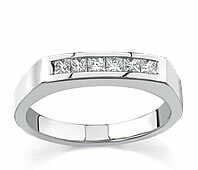 At Novori, our vast selection provides something to appeal to all tastes.